Check out the latest Beauty Heroes Spoilers on My Subscription Addiction! Beauty Heroes June 2018 Box FULL SPOILERS! Beauty Heroes May 2018 Box FULL SPOILERS! Beauty Heroes April 2018 Box FULL SPOILERS! Beauty Heroes March 2018 Box FULL SPOILERS! Beauty Heroes February 2018 Box FULL SPOILERS! Beauty Heroes January 2018 Box Full Spoilers! Beauty Heroes December 2017 Box Full Spoilers! Beauty Heroes November 2017 Box Full Spoilers! Beauty Heroes October 2017 Box Full Spoilers! 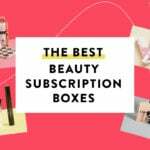 Beauty Heroes Fall 2017 Makeup Discovery Box – Full Spoilers! "Anyone know if this will be available in Canada? For some reason, I keep reading that certain Sephora products ..."